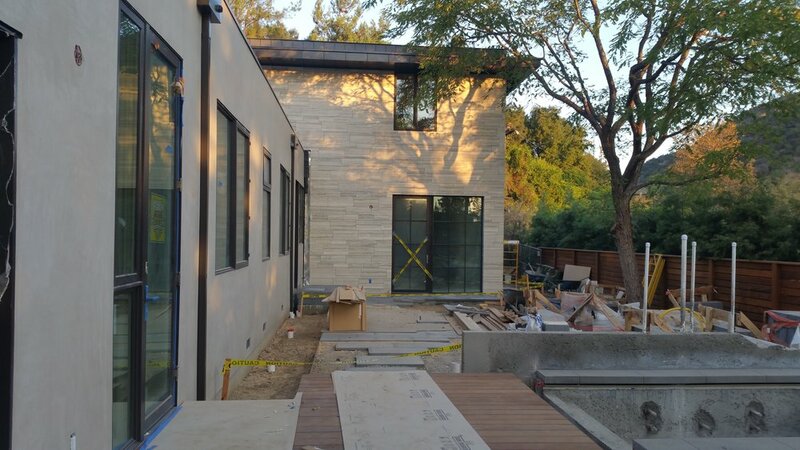 Canyon house is almost ready, shaping up nicely. Installing the custom cut steel banister. A large old oak on the site provided the pattern bringing the outside in. New house in Brentwood is finally under construction and deep piles being poured when sun finally comes back. Can't believe we get the first heavy rains in five years exactly when breaking ground. Our talented collaborator Landscape architect Kris Barker of Barker Evans Landscape Architects has received an ILASLA 2016 Merit Award in Residential Design for the Mandeville House. Go Kris Go! Alexa (Amazon home automation) and Jaguar are shooting a commercial at the Mandeville House. Coming soon to your TV - Stay tuned. 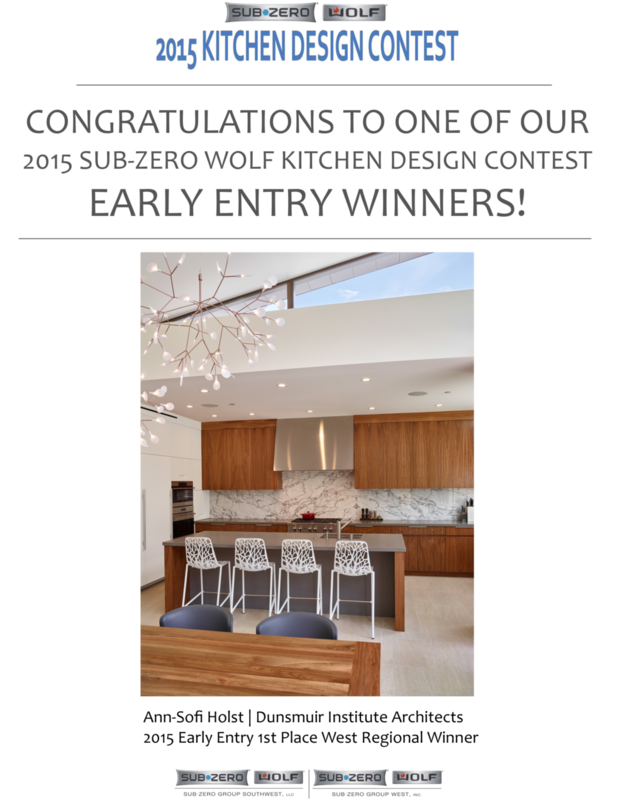 We are pleased to report that the Kitchen at the Mandeville House have received 1st place in the Subzero Wolf 2015 regional KDC contest. Kudos to our sister company dcabinets.com for supplying the lovely cabinets.